Does the disabled parent who owes child support have disability insurance? If the disabled parent receives disability insurance benefits, which may automatically be provided by his or her employer, then it's reasonable to expect the disabled parent to continue to pay child support. However, it's also important to note that disability payments will very likely be less than his/her regular pay. And because the child support formula is based on parental income, the disabled parent may be able to seek a modification of child support for the duration of the disability. If approved, this would mean that even though child support payments would continue, the amount would be less than you've grown used to receiving. Therefore, you would need to adjust to receiving less child support. While unfortunate, this is a reality you'll have to adjust to for the duration of your ex's disability. Is the parent's disability temporary or permanent? Typically, the court will usually order a temporary modification of child support if the disability is temporary. For example, the court may decrease the child support amount for the expected duration of the disability. If the disability continues longer than anticipated, the disabled parent may go back to court and request that the modification of child support payments continue for a longer period of time or even indefinitely. The court will generally order a permanent modification of child support if a parent's disability is medically considered permanent. The court will base the modified child support payments on disability payments, as well as any additional income received by the disabled parent. In some cases, this may result in significantly less child support being owed and/or received. In some cases, disability benefits may be garnished to pay current or back child support payments. While this may seem unfair to the disabled parent, the state takes very seriously the need to maintain regular child support payments. Therefore, parents who owe child support and who receives disability benefits should be aware that the courts can dip into those benefits, in the form of formally garnishing them before they even get to you. This makes it virtually impossible not to pay at least part of your regular child support payments, but it can also make it extremely difficult to get by on the remaining amount, especially if you are out of work temporarily. Supplemental Security Income (SSI) is a government program for lower income, disabled individuals. If a parents' wages are paid directly by SSI, then they cannot usually be garnished for things like taxes and debts. However, there is one clause: social security disability benefits can be garnished for child support non-payment. This is another reason why it's so important not to fall behind on child support payments in the first place. Disabled parents struggling to pay child support should seek a modification of child support prior to having their wages garnished. A modification may be granted following a legitimate decrease in income due to your disability. 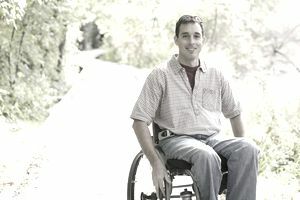 In such cases, the court will evaluate the nature of the disability, as well as the expected duration of the impairment. If you need assistance navigating the system, research the child support laws in your state and seek help from a family law attorney with experience handling disability and child support cases.